My oh my! How long have I been waiting for this today to actually come true. 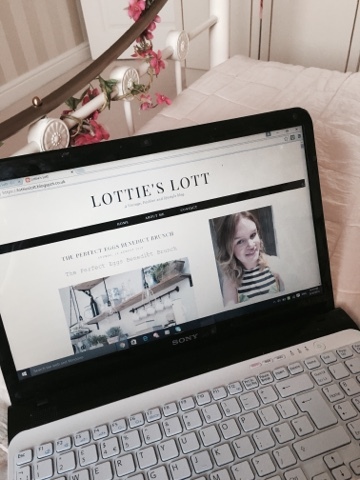 Well today it finally happened and I gave my blog a first brand new look and I am very happy with it. A few months ago I came across this website that I found on Twitter called Pipdig and I had a look through and found some lovely templates or blog designs. Majority of them are about £29 so because blogging is not my job I had decided to just buy myself one when I get a full time job and that was that. However a couple of days ago I went back onto this website and feel in love with this one particular blog design and decided 'do you know what, I'm going to do it.' My blog was ready for a design and I was going to make it look 10 times better than it did do before. The best thing about Pipdig is once you have purchased the template you then get the option if you want them to install your templete for you and so I did. It takes 2 days and then you get a email to say that it is all complete and then I added some final touches to it and it was all up and running. I wish I had done it sooner to be quite honest but I am so happy with it now and I also hope you all like the new look. So many things have changed since Pipdig installed my blog design..
1. I have a complete smart and chic look. 2. I can finally be proud of my blog. 3. I now have all my social media links on my blog. 4. I seem to be getting more views which is even better. Overall I am very happy and would like to thank Pipdig again for making my blog look something to be proud of and I hope you love it too! Make sure you let me know what you think!